← Re: Are You Always Hungry…? Some historians dispute the great man ever said it, but, whatever the case, it seems the prophecy may be coming true. Just look around you. Everywhere people are glued to their mobiles — as these photographs prove. Whether eating out with their family, sitting on the Tube, watching the tennis at Wimbledon, or even riding a bike, these Britons are all hooked on their phones. Of course, we can all be guilty of it — and it doen’t mean we’re idiots — but to spare these people’s blushes, we’ve obscured their faces. Surely, though, the question has to be asked: Is there really a need for us to be looking at our mobile phones every second of the day? Even in the company of others, or out in the glorious countryside, people seem unable to detach themselves from this electronic fifth limb. 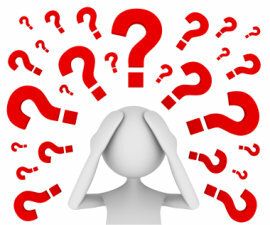 Tragically, the infinite diversions of life, art and the universe are taking second place to that ubiquitous gadget. A survey by a digital marketing firm found the average Briton with a smartphone uses it 221 times a day — on emails, texts and other social media. 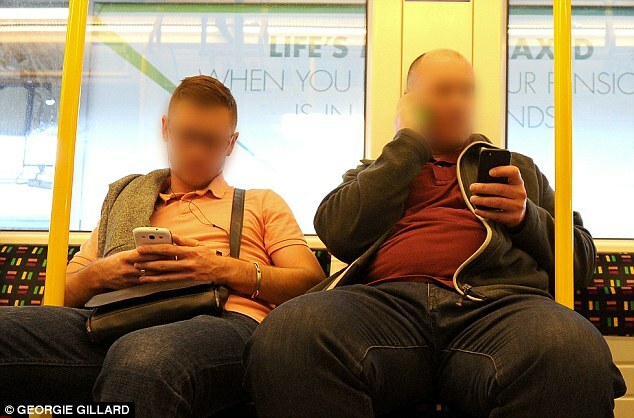 Typically, they first click on to their phone at 7.31am, and then keep tapping away — on and off — until 11.21pm. For an average of three-and-a-quarter hours a day, our eyes are glued to our phones, blind to the world around us. That’s almost the equivalent of a whole day a week, stranded in cyberspace. 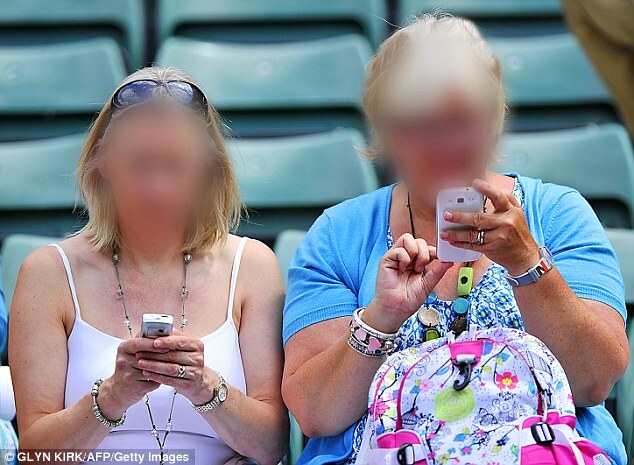 Women are the worst culprits — using their phones for an average 23 minutes a day more than men. And the younger we are, the worse the condition gets. 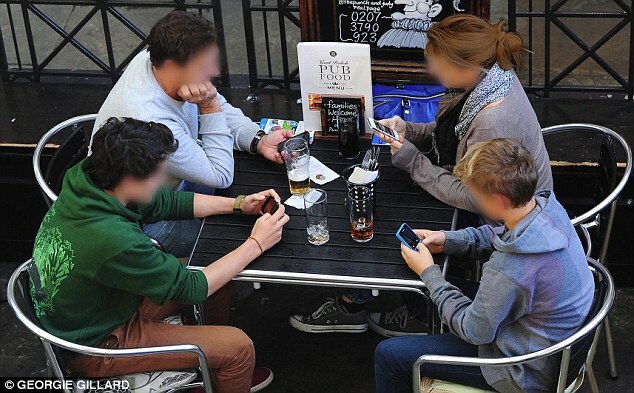 Adults between 18 and 24 spend four hours, 20 minutes a day on their smartphones. But even the over-55s — who grew up in that long-lost, magical land where people actually talked to each other — use them for two and a quarter hours a day. Wherever we are — on holiday in the most dazzling surroundings on earth, with friends or even in the bath — nothing can rival the attraction of that ping signalling a new message, or the comforting buzz that means someone wants to get in touch with you. Who knows what joy those messages might bring — George Clooney having realised he’s married the wrong woman is heading your way, or your Lottery numbers have come up? More likely, though, it’s an automated message trying to flog you PPI compensation, or someone you’ve never met using Twitter to send you a photo of their breakfast. But, in smartphoneworld, hope springs eternal. ‘Studies have shown how texts give us little blips of excitement, but never quite enough of it,’ says Lady Greenfield. ‘We compulsively, obsessively want more.’ Our phones are the dream companions who could turn modern life into a nightmare. Apparently, when we can’t sleep, half of us play with our phones. Whatever happened to a good book? If we are parted from our phones, 80 per cent of us feel lost; particularly men, who find it so much easier to confide in a lump of metal than in another human being. 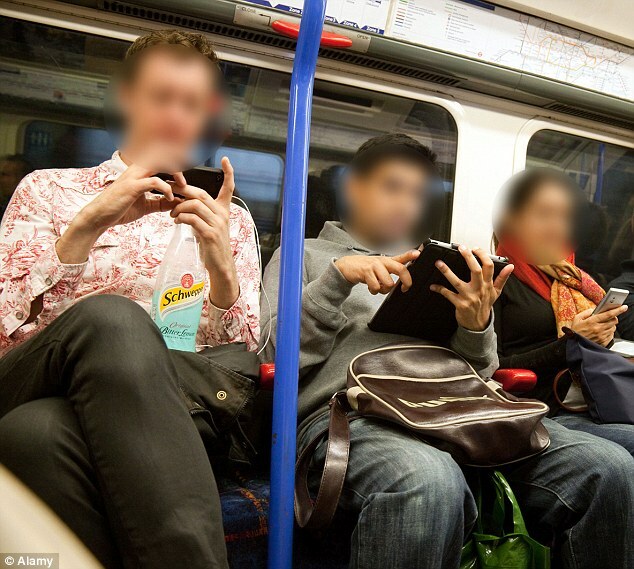 Smartphones are the ultimate displacement activity. Seventy per cent of people turn to their phones when they’re on their own in a crowd, to make themselves look busier — 60 per cent have texted a friend in the same building rather than walking the few yards to see them. 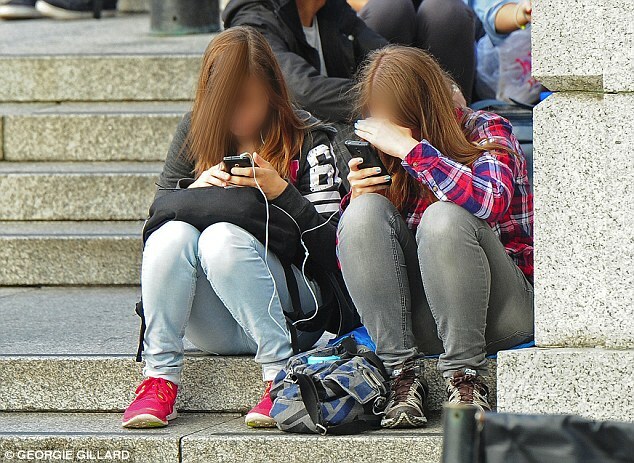 Two-thirds of us, according to researchers, have found ourselves like zombies, using our phones without really knowing why; whipping them out as a reflex gesture. Just like alcoholics, we know that the addiction is doing terrible things to us — that we’d be better off reverting to age-old human habits, such as being able to have a continuous conversation lasting more than three minutes. ‘The technology isn’t innately evil,’ says Lady Greenfield. ‘But it is very powerful and we must harness it as a means to an end. With other diversions — books, television — we put them aside and return to the real world. Looking at these photos, you might feel it’s too late. 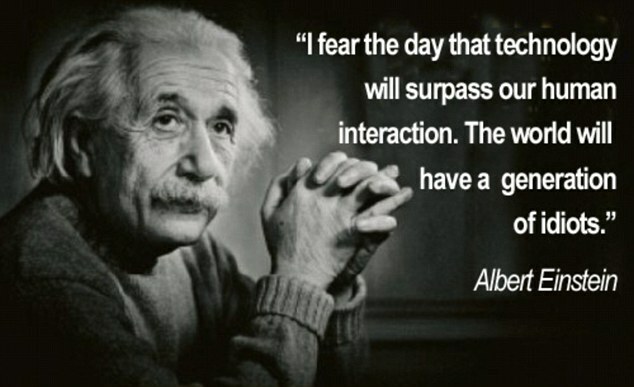 Einstein (who was born in 1879, three years after the invention of the telephone) would surely be turning in his grave.